ETA, the main watch movement maker in Switzerland, is the owner of the Unitas name and made the Unitas 6497 and 6498 for years. This is the new re-designed ETA stamped 6497-1, version. 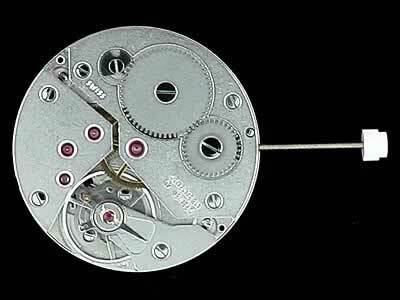 This 16.5 ligne pocket watch movement, 17 jewels and Incabloc Novodiac shock protection is a workhorse movement and is sure to be produced for many decades to come. ETA 6497-1 is a Pocket Watch Movement, which means the crown is at 12 and the subsidiary (small) seconds at 6 o'clock. This same movement can now be found in large wrist watches and when used as a wristwatch the crown is now at the 3 PM position and the small second can now be found at 9 PM. 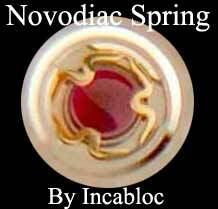 Because of its size, this is a comfortable movement for the beginning watchmaker. Hand hole sizes 1.15 mm minute, 2.00 hour and 0.27 mm will work for second. The TimeZone Level 4 Course is based on the ETA 7751, 13.25 ligne size, 25 jewels, Incabloc shock protection, automatic, chrono, day, month calendar hand date with moonphase movement. Hands sizes: Minute 1.20 mm, Hour 2.00 mm , the sweep 0.25 mm, register 0.20 mm, Calendar hand hole size at 2.50 mm. The ETA Valjoux 7751 does take the same hour, minute, sweep and register hands sizes as the Omega 1152 and 1155. ETA made the 7751 movement under the Valjoux 7751 name from 1970's to 2002, when Swatch Group decided to retire the Valjoux name and call this movement the ETA 7751. No parts have changed only a name change took place. 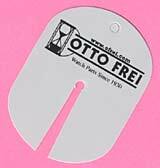 For those who don't want to scratch and damage their dials while removing hands, this Bergeon dial protector is the tool to use. It's made of resistant synthetic material. Thickness of 0.15 mm. Color is off white. 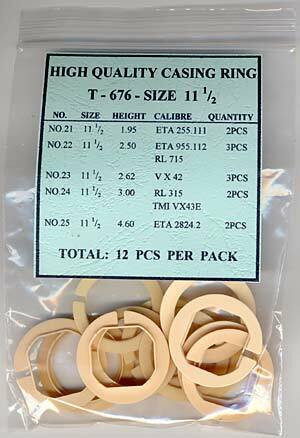 Movement ring assortment for re-casing popular 11 1/2 ligne Quartz and Mechanical Movements. 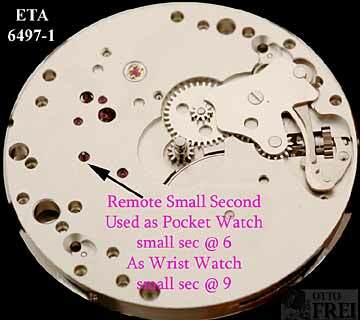 Kit Includes 2 pieces movement ring for ETA 2824-2 11 1/2 movement with ring height of 4.60 mm. This assortment also includes ring for ETA 255.111, ETA 955.112, Ronda 7215, VX 42, Ronda 315, VX 43E for a total of 12 pieces.